Join our collective and take advantage of all the benefits of coming together as professionals and as locals. Together, we network, share resources, collaborate, and enjoy access to tools and information just for REALTORS®. 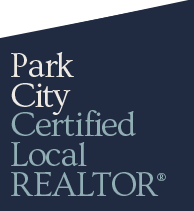 You can also learn about our Certified Local REALTOR® Designation, which you can earn to establish yourself as a true expert in buying, selling, and living in Summit and Wasatch Counties. When you take and pass our local expert curriculum, you gain more than a logo you can proudly display on your card or site. You prove your in-depth knowledge about the place where we live and work. Learn what it takes and start earning your designation here.